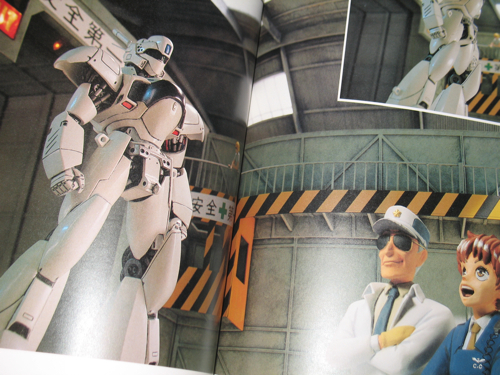 Patlabor has been my mecha franchise of choice ever since I first saw Oshii‘s beautifully paced, politically complex movies, and when I stumbled across this Patlabor 3D Show book in Mandarake Complex I started to silently freak out. It wasn’t until I got it back to the apartment and looked at it properly that I realised it was actually the third of a three volume set, and it suddenly became my primary mission to see if I could track down the other two volumes. I didn’t hold up much hope, considering their age (they were first published between 1990-1993, and were now all out of print), but I shouldn’t have bet against Mandarake Shibuya and their huge achieve of second hand stock. 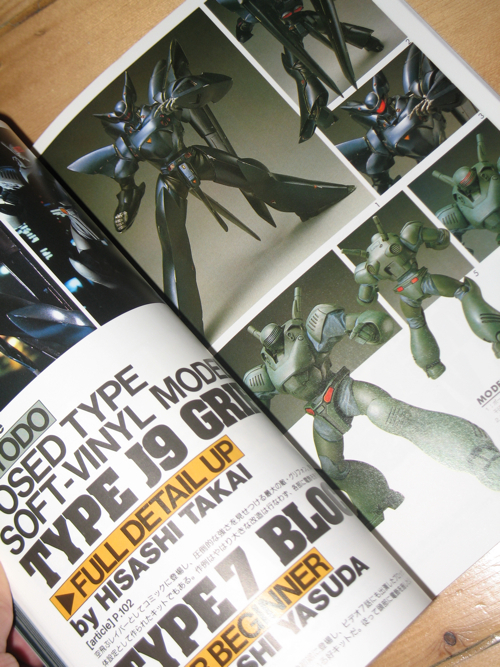 All three were special editions published by the famous model enthusiasts’ magazine Hobby Japan, and feature dioramas depicting scenes from the films, TV series and manga, built from then widely available (but at times heavily modified) commercial model kits. What makes them special is not just the quality of the kits’ assembly and paint jobs, but also the fantastic photography that’s been employed to capture them. 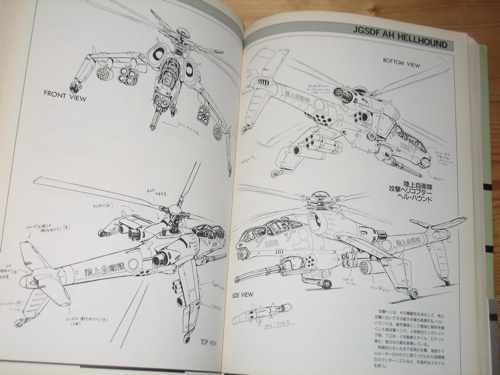 It’s clear that some of Hobby Japan’s best staff have been involved in putting all three volumes together. 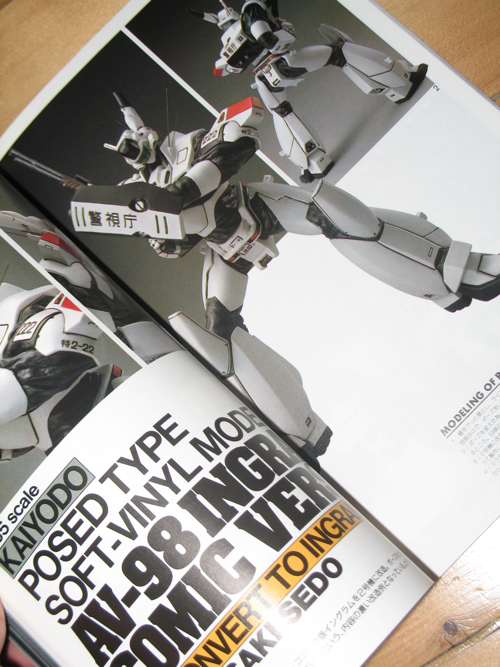 While the third volume is in a slightly larger, more expensive feeling, format and is made up almost entirely of photographs, the first two also have extensive articles on modeling/painting tips and instructions for specific kits. 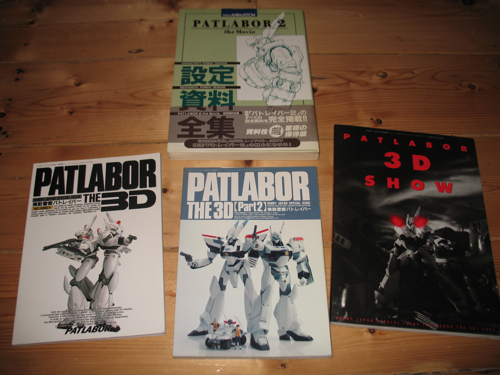 Although all of the text is in Japanese, there another diagrams and images to make these books useful to Patlabor fans or mecha kit hobbyists in general. 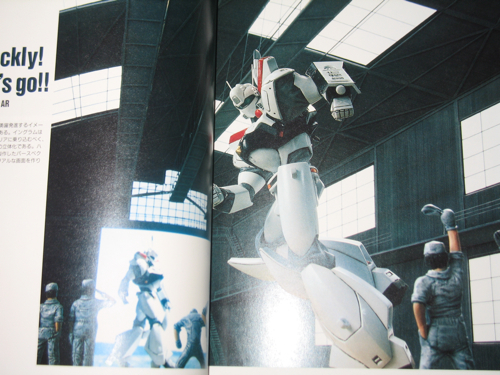 The fourth book I picked up is more conventional; the This is Animation Patlabor 2: The Movie design book. 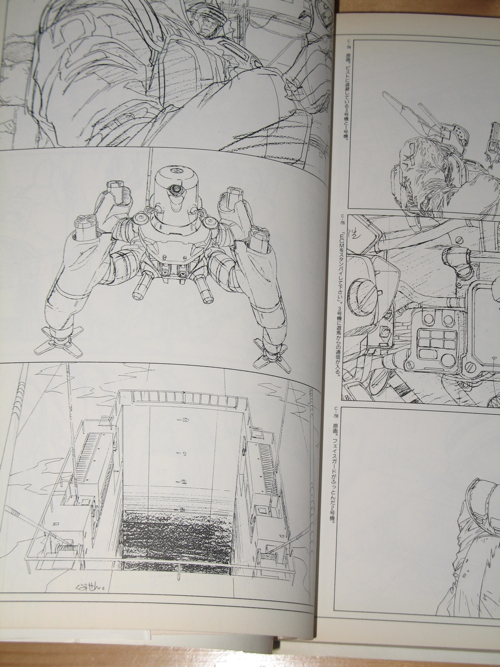 Entirely printed in black and white, it’s 128 pages of character sketches and designs for everything in the film from weapons and equipment through civilian vehicles up to the labor mechs themselves. 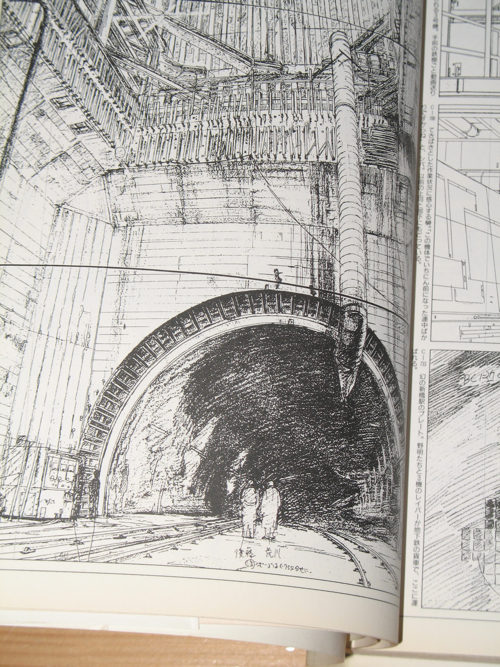 Of particular note are the dozens of pages of storyboards and concept artwork from the film, making this yet another fascinating read for Headgear and Oshii fans, with enough material to ensure hours of fanboy-glee pouring over them. In fact I’ve just decided: I’m going to stop writing this right now and go and pend some quality time with all four of these beautiful books. Too many good images to upload here, so go and check out the high-res slideshow over on Flickr. I’ve not been to the Mandarake flagship store in Akiba, though I’ve been in several in other locations. Great shop, great selection and ok prices. It’s a really impressive store – at least to a foreigner like me – the top two floors feel more like a museum than a shop, the number of antiques and rarities they have is incredible. Thanks for these nice books. I know where I can get it. I found one store that was ONLY anime based books- manga, magazines, art book, etc. But I can’t remember the name. 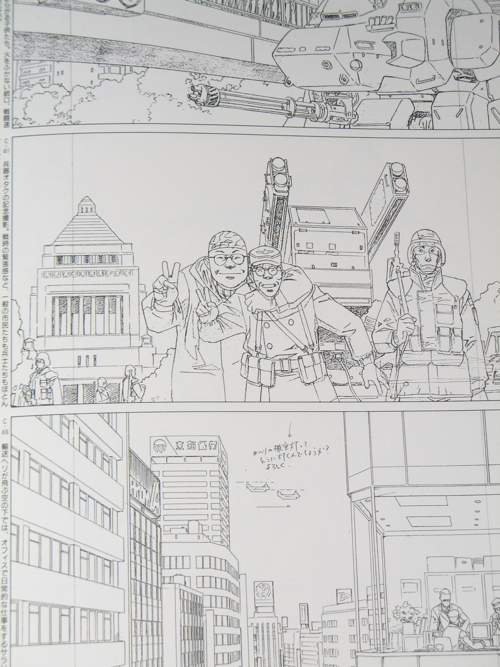 IT must be well known, it was packed (but then isn’t everything in akiba?). Amazon is one of the best, cheapest, and easiest for people outside of Japan. If you buy enough books at once, the shipping price comes way down per book. Then of course there’s the biggest online store in japan….